This bamboo shelter was designed to create decent living environments for refugees displaced from their homes. 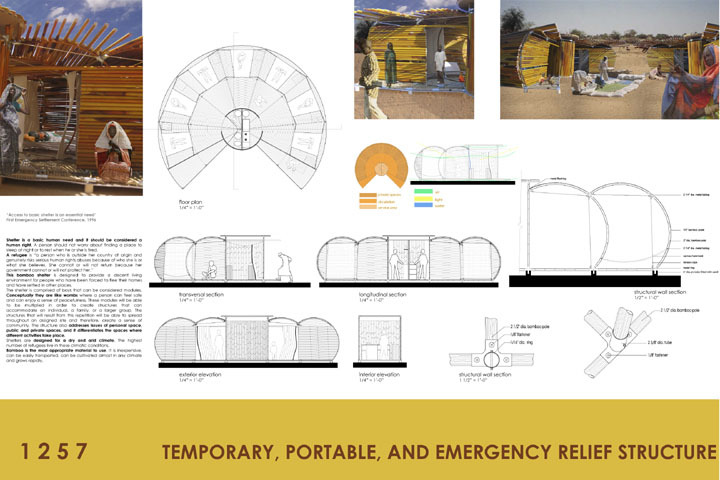 Conceptually, the shelter reflects the shape of a womb, a place of ease and comfort. The modular sections can be placed together to create family spaces and even a whole community space.